How to Make Books Actionable?Pick the Brain | Motivation and Self Improvement How to Make Books Actionable? How to Make Books Actionable? Have you ever read a book with lots of interesting information but failed to incorporate the message into your everyday life? Upon reading a great book, have you ever been galvanized into taking action but failed to deliver results in the end? We all, in some forms, have such memories. What if you could rekindle those memories and build your life step-by-step to the next level? If you read books on personal development and productivity, you’re likely to face a demanding number of ideas to implement into your life. How can you synthetize those ideas into a coherent plan to make them actionable? This post is dedicated to answer such embarrassing questions. Before we dive in, I tell you the obvious secret: Taking action is the key, so we will focus on that. How do I retrieve the takeaway from a book? More and more authors make bonus materials readily available for their readers. Make sure that you check the author’s blog or homepage to find bonus materials. Leading authors may provide readers with spreadsheets and action plans as well. This is a good place to start, but it won’t work for everybody and can be far from being exhaustive. It’s therefore best you take notes and use post it notes to capture essential content. If you’re a Kindle power user, you could highlight actionable content and make notes as well. You can then export all of your notes and highlights into a single PDF file or Excel sheet, all delivered by a single email to your account. I prefer eBooks because they’re a lot easier to get converted into real-life scenarios. Let’s assume that you’ve done your homework and gathered all necessary pieces of information that you might build on later―you have a comprehensive master list in your hands. The next step is to turn your notes into actionable items. Mind mapping improves memory recall, helps finding connections between ideas and gaining a big picture view. All these features make mind mapping particularly useful for creating book summaries. The creation of a mind map begins with a central idea which, at best, is an image that captures the main topic of the book. The next step is to add branches to your mind map―branches will represent the key concepts or takeaways. You can then add as many sub-branches as you want. Make sure that you add colours, images, dimensions, and contrast to your mind map. All those shiny features will help you mastering the book’s content. Try to make connection between ideas by drawing lines between branches. For more information about mind maps, google the name Tony Buzan along with the term mind mapping. Translate the book’s takeaways into actionable items: create an action list. Your actions should begin with an action verb. For example, if you want to build up a morning routine, formulate an action like this: “Create a morning routine.” You may use your bullet journal, your task manager, or a note taking app such as Evernote to jot down your ideas. Remember, what gets scheduled gets done, so make sure that you schedule your next actions. According to David Allen, author of the bestselling book Getting Things Done, a project is any of your desired outcomes that will require more than one action steps to complete. Let’s assume that you want to incorporate a book’s messages into your life―definitely, it will take more than one action step to complete. You can create a project for that book and then fill it with actionable items like the one listed under point 2. Applying this project thinking may help you digesting the content. I have a project entitled “Personal development” which is a bucket list of the actions I want to take to develop a better self. 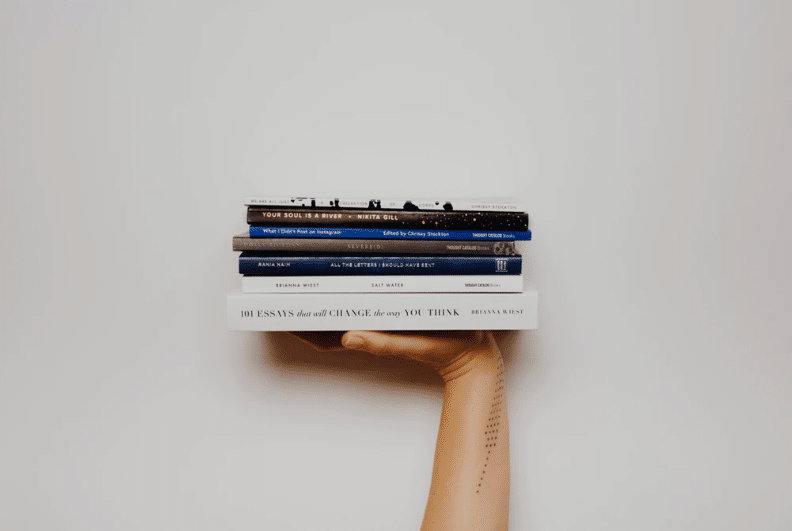 All actionable personal development materials land in my Personal development project, but there are some really life-changing books that would not fit into this category. For those books, I opt for creating a whole new project per book with the book title as the project name. You can create a one-page book summary as well. You may derive additional benefit from a book summary, because it forces you to digest the book in more depth and come up with your own evaluation. Maybe you could publish it one time as a book review. You can, at least, easily share it with colleagues and friends. It all depends on whether you are a visual thinker or not. For visual thinkers, a mind map can be more informative. You might need the essential takeaways for future purposes, it’s therefore important that you create a library of your notes. Whether it’s a mind map, a book summary, a simple note, or your Kindle highlights from the book, you might want to file all these materials for future references. I use a dedicated Evernote tag for my book summaries; I tag all of my related notes with the tag “book summary.” I can then embed my mind map, Kindle highlights as well as any bonus materials in a single note. It’s a plus, by the way, that I can access my content on all platforms. Sometimes it’s advisable to re-visit or even re-read the entire book. More often than not, you’ll gain a more in-depth perspective on the material for the second reading. Also it helps to distance yourself from your earlier thinking and you’re very likely to gain new perspective on the topic. Another form to help you digest the content of a life-changing book is to attend a seminar or a webinar on the book or topic. A seminar might cost a lot, but exchanging ideas in person will arm you with a more comprehensive understanding and you can easily establish new contacts as well. You might find an accountability partner, a like-minded individual, whom with you share mutual interest. You could help each other to dissect the content and track progress against each other. As you can see, you really have a number of options to enliven your life with productivity advice derived from your favourite books. The tricky thing, as always, is that you take action. 3 Responses to How to Make Books Actionable? It won’t precisely be that way, however books have all the more effect on us then enough cash to intently screen their systems for education specifically. There has been accounts on Twitter for online book reading and achieveessays a considerable length of time, yet nobody is crying about that after they read them, it appears there might be some political thought processes behind this. I like the web and web based life. However, this article demonstrates that both should be all the more entirely controlled. It is the obligation of these stages to bring down these locales right away. Excellent tips! Definitely, In this article, you shared some of the useful advice for making our book more actionable. I hope many people will be benefited from this effective article. In the present world, everything is dependable on the internet. For this reason, It’s a very helpful idea. For this idea now students can find their all subject and academic writing in one place here https://sky-writer.com/essaylab-review/ The more important things are they can get steady to make a group. It’s strongly recommended for future education.